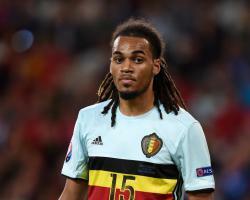 The Sun reports that Arsenal are showing interest in Manchester City centre-back JASON DENAYER and Borussia Dortmund defender MATTHIAS GINTER. The Sun is also reporting that Manchester United have delayed naming their squad numbers for the 2016/17 season as they hope to complete the Â£105million signing of Juventus midfielder PAUL POGBA. Manchester United also want to take Monaco full-back FABINHO to Old Trafford, according to the Daily Mail. The Daily Mirror reports that Everton manager Ronald Koeman is keen on Â£30million Portugal midfielder WILLIAM CARVALHO. And finally, the Evening Standard writes that DIEGO COSTA is likely to remain at Chelsea and has not asked to leave Stamford Bridge.